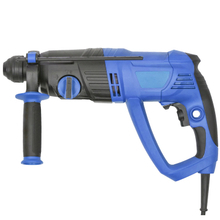 Rotary Hammer, Rotary Hammer Products, Rotary Hammer Manufacturers, Rotary Hammer Suppliers and Exporters - Dan Yang Three Win Industry Supply Co.,Ltd. - HPP quality for professionals ,FFU very good performance. - 710W power supply the strong hammer drilling performance with 4 modes for work. 1, HPP quality for professionals ,FFU very good performance. 2, 710W power supply the strong hammer drilling performance with 4 modes for work. 3, Adjustable auxiliary handle for enhanced control. 4, Impact / drill / chisel function for working in different materials. 5, Ergonomic handle with soft grip for increased comfort. 6, Variable speed control for easier work. 7, Forward and reverse rotation convinces operation. Accessories in BMC pack Depth gouge 1pc, Auxiliary handle 1pc, Manual 1pc. 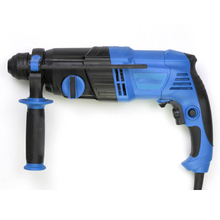 - 950W power supply the strong hammer drilling performance with 3 modes for work. 2, 950W power supply the strong hammer drilling performance with 4 modes for work.